The Heron is dedicated to creative enterprises, organic farming and sustainable land stewardship. We are home of The Great Blue Heron Music Festival and our farm, Green Heron Growers. 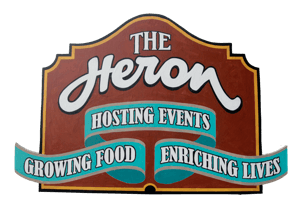 At The Heron we offer dynamic music festivals, organically raised foods, culinary adventures, educational events and wellness workshops. We nourish our community through shared experiences that enrich the bonds between people, food, music and the arts. We invite you to share in the magic of The Heron. 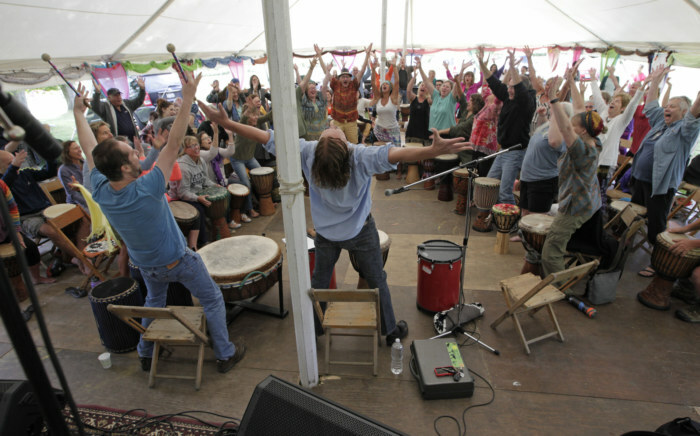 The Great Blue Heron Music Festival delivers an eclectic musical lineup that the whole family can enjoy. 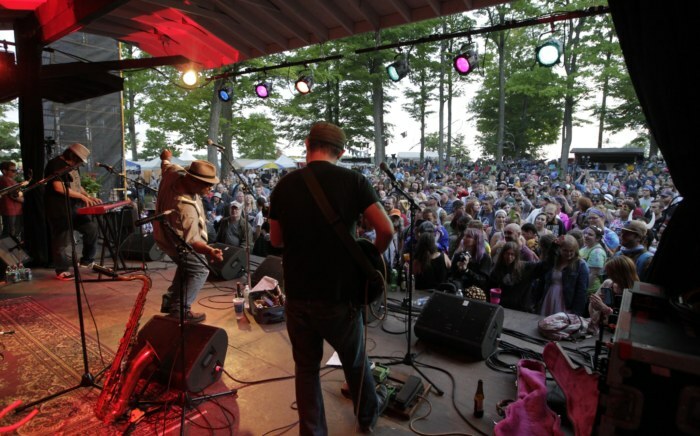 Three days and nights are filled with national and regional acts on three stages highlighting Americana roots, rock, reggae, zydeco, swing, old time, hip-hop, and bluegrass styles. The Blue Heron has been a homecoming, for many, since 1992. Green Heron Growers is an organic farm and educational center nestled in the rolling hills of Chautauqua County. We specialize in raising 100% Grass­-fed Red Devon beef, organic chicken and shiitake mushrooms. We are dedicated to nurturing our animals with loving care and to supporting biodiversity in the soils, pastures and forests. We share our passion for sustainable farming by offering educational workshops & culinary events. Farm to Fork luncheons and tastings are a favorite part of experiencing our farm. Learn how we grow shiitake mushrooms and preserve seasonal produce. Plan to tour our pastures and see how we raise our animals. The Heron offers a unique backdrop for family gatherings, private parties, weddings, memorable campouts and special events. We are surrounded by 400 acres of wooded and pastoral grounds, a 7 acre pond, hiking trails, beaver ponds and our family run organic farm. Since 1992, thousands of music lovers return to The Heron for a community gathering rooted in Americana music and the spirit of love. 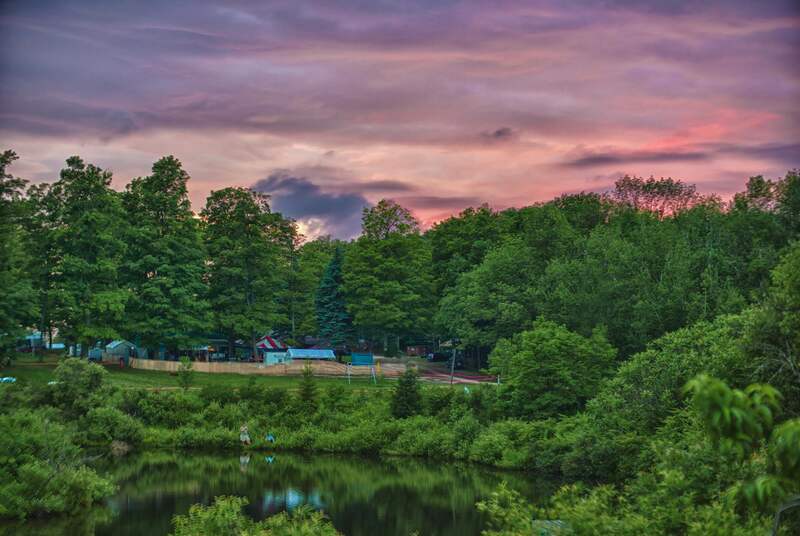 A retreat that offers transformative music & expressive arts workshops focused on personal development and community creation. 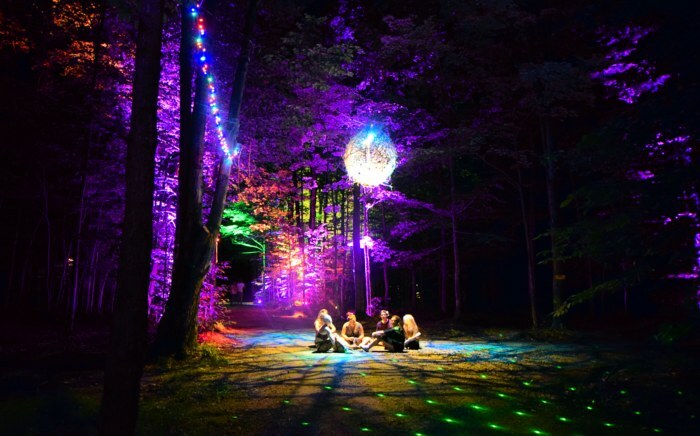 Night Lights Music Festival transforms The Heron grounds into a magical three-day, three-night SOUND & LIGHT spectacular. Welcome to The Heron. How can we help you? Send us an email below for more information. The Heron | Home of The Great Blue Heron Music Festival, Green Heron Growers, Night Lights at The Heron, The Great Rhythm Revival and More!